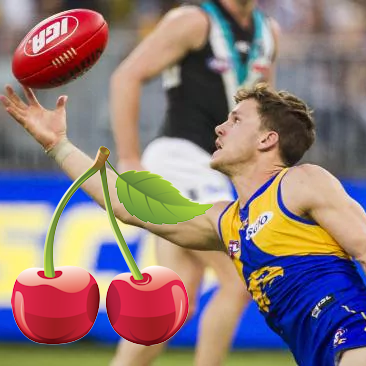 Hey Coaches, it’s Sparksy here with the final Ripe for the Picking for the season! I’ve had a putrid season so far, highlighted by moves like bringing in Aaron Hall and Jack Macrae in the weeks that they got injured, holding onto Essendon rooks that weren’t playing for far too long, and not being able to get McInerney because I had too many other moves to make. I am still here however, to bring you the players who are absolutely ready to be plucked from the tree and slotted into your team. My late season articles are a bit different to early season, as I will look at the players I think will provide the best value for your ranking, rather than looking at Mid-Pricers who could help save and make you some cash. Anyway, here are my best 3 players from each position who, for one reason or another, could help earn you that cap or win you your league finals. 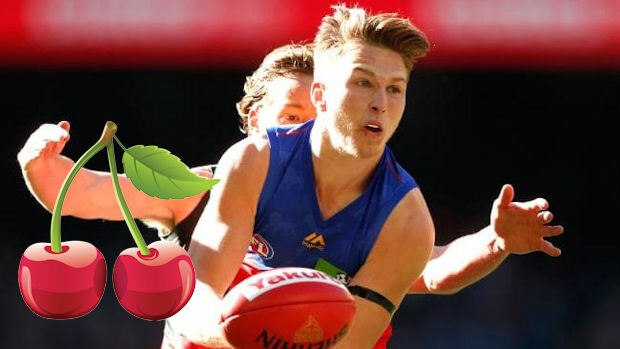 Alex Witherden ($631,000 BE 60 Ownership – 4.17%) – Witherden has been an interesting prospect all season, providing great consistency but not necessarily scoring enough to be worth the price tag. However, his Last 3 games have been absolutely insane from the second year Defender, averaging 117 over that period, with a 116, 97 and 138 making up that average. Witherden relies heavily on the old +6 tactic (mark then kick), a Fantasy Coach favourite and staple for every good Fantasy Defender. Last week against Adelaide he had 78 AFL Fantasy points from kicks alone! Add to that his 12 marks (36 points) and that leaves 24 points to be made up from every other stat. Therefore, you can see why a Coach could be worried about Witho’s scoring potential; if he doesn’t get marks, he doesn’t score. Also in the bad news column is the fact Alex has played the easiest and 6th easiest teams to score against in the last 3 weeks in Carlton and Adelaide respectively. The good news is, on the run home Witho plays Geelong, North Melbourne and Gold Coast, all extremely easy teams to score against in their own right! Some people might be a bit concerned about Witherden getting a tag like Sicily did when he played a similar role at the end of last year, but fear not. Sicily got a tag because he was the backbone of Hawthorn’s whole structure: if he didn’t provide Hawthorn with easy intercept possessions – Hawthorn rarely won. Brisbane play a slightly different game style however, relying more on midfielders like Zorko and Beams to extract the footy first, rather than Witherden running the show from half-back, so there are bigger priorities for the opposition than shutting down Alex. A big change that could have an effect of Witho’s scoring is the insertion of a couple of injured key defenders coming back into the team, but I wouldn’t worry too much as I think they’ll actually make the job easier for Witherden, rather than hindering his scoring. The cherry on top is Witho’s 4.17% ownership. Most people with a solid team will have Roy’s Rolling 22’s backline, and I don’t blame them. But I think Witherden could slot in nicely in the place of anybody who isn’t Laird or Yeo. With a nice run home, low ownership, and cheaper than a few more traditional defensive options, Witho could make some ground up on your opponents for sure. Heath Shaw ($568,000 BE 85 Ownership – 6.35%) – Old Headache Heath makes an appearance in one of my articles yet again, I don’t know why I keep doing it. But seriously, Shaw could be a great call to make in terms of gaining ground on your opponents. Or he could be terrible, hence the nickname. GWS have one of the easiest AFL Fantasy runs home this season, with teams like St. Kilda, Carlton and Adelaide included in their last 5 matches of the season. These easy opponents are the kind that Heater likes to feast upon, producing big scores like he has already a couple of times this season. Shaw is also reasonably cheap for a Defender, meaning another move you could make is to potentially get Heater in this week, wait until he plays those three teams I mentioned before, and then trade him out before the last two games of the season for somebody less risky after he has made you both cash and points. His ownership is fantastic too, at just over 6% very few opponents, whether it be in the top 100 or not, would expect to line up against a Coach with Heater in their backline, which makes the 120+ score he could give you all the more sweet. There are two big factors that would put me off Heath however, and they are his negative history and the fact he hasn’t actually showed a whole heap of form this season. Heath has scored 120+ just twice this season, and only four 100+ scores too. He hasn’t been bad by any means, but he certainly hasn’t had the massive numbers that have lured Fantasy Coaches country-wide into his clutches in previous seasons. I do think he’s still capable of these scores however, and if he is ever going to score them then now’s the time. So, if you like to live dangerously, I think Heater is a great option for you. High risk, high reward. 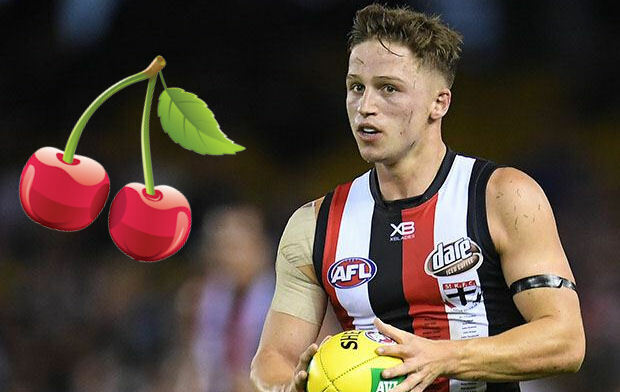 Jayden Short ($588,000 BE 80 Ownership – 4.77%) – The small Richmond defender has been the talking point of many AFL Fantasy Coaches looking to save cash and gain a PoD, and I can see why he’s on everybody’s lips for sure, but scoring hasn’t been as impressive from Short as I thought, so I thought I’d delve a bit deeper into his numbers. Before Round 10, Short was averaging just 65.8, pretty much what we had come to expect from him. However, form Round 10 onwards Short has quietly gone about his business, averaging 93.88, and is just now starting to get a bit of recognition for his efforts. Short has had a significant increase in almost every Fantasy relevant stat since Round 10, including +5 disposals and +3 marks per game. Whilst these increases have been good, I’m not entirely sold that they’ve made Short a Fantasy-relevant PoD. My main issue is that while Short has gone over 100 three times since Round 10 and under 80 just once, he hasn’t been above 110 at all this season. Consistency is definitely a trademark of a good Fantasy player and, if you hopped on the train at Round 10 I applaud you for the points and money Short has made for your team. However, in terms of a PoD, you only gain if your player outscores the players that everybody else has in that position, and to do that you need a player that can go big. Since Round 10, Short has outscored Simpson, Lloyd and Yeo three times, Brayshaw twice, and Whitefield and Laird once. The only game he has outscored any of these players by 30+ is in Round 12 where Brayshaw had a 47, and Gus has more than made up for that with some outrageously high scores. So yes, I definitely think Short has been a great Fantasy player late this season, especially if you got him in early, and yes he is definitely a consistent PoD, but I’m just not sold on the fact that he’s actually going to make you any ground, whether that be in rankings or against your league opponents. Jack Redden ($710,000 BE 80 Ownership – 2.08%) – Boy has this bloke been absolutely flying lately, and barely anybody is capitialising on it. Redden is one of the most in-form players in the competition right now and is in this article almost solely for this reason. In his Last 3, Redden is averaging a huge 129.3, including scores of 143, 135 and 110, which is just too insane to ignore. Almost as crazy as those numbers is that Redden’s lowest score since Round 6 is an 83, I had no idea he’s been doing so well. The best thing about Redden is that he will always avoid a tag. With players like Shuey and Gaff in the same midfield as him, there’s no way he’s the most threatening option to any opponent, and he therefore slips under the radar, which is great for any Fantasy Coaches who own him! Another positive for Redden is his run home. Although he does play Port Adelaide at some point, who are by a mile the most difficult team to score against, he also plays North Melbourne and Fremantle, both teams who have been leaking a lot of points this season. An even bigger positive is his ownership, at only 2.08% Jack really is a unique player and there’s a great chance that people ahead of you in rankings and your league opponents won’t have him. Redden also has history at being a decent Fantasy footballer, with some huge scoring years during his early days at Brisbane. I don’t see a whole lot of downside to picking Redden. He scores well, has a decent fixture, is owned by almost nobody, and is in form. Lock and load. 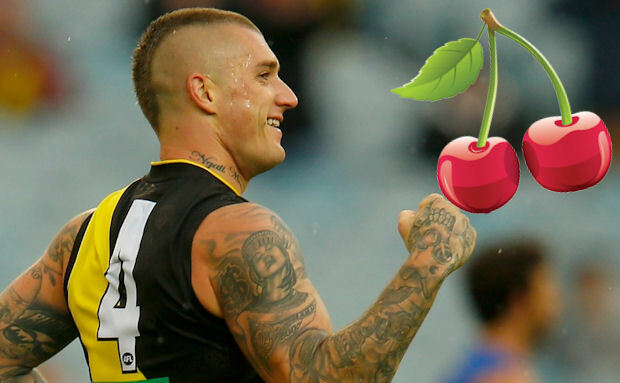 Dustin Martin ($596,000 BE 84 Ownership – 35.08%) – I know what you’re thinking, “Dusty isn’t a unique player!” and you would be right. Dusty is owned by a whopping 49,000 Coaches, however this one is more for the players looking to secure a good ranking, rather than those looking to beat their League opponents. Something happens in Fantasy football where people, usually less passionate Coaches who don’t read these articles, tend to pick players they’ve heard of and either keep them in, hoping they will find some form, or just forget about their team all together. This leads to some players having unusually high ownership levels, even though they’re injured or out of form. Dusty is one of these players. I got in touch with DT Talks wonderful Top 100 statistician Magtuto to see what Dusty’s ownership was in the Top 100 and it was at only 10% (Ranks 13, 28, 29, 31, 33, 34, 42, 60, 71, 72). Not only do those ownership numbers scream PoD for somebody looking to win a cap, but Richmond’s run home gives even more hope that Dusty will gain Coaches some points. On the way to the AFL Finals, Dusty comes up against Geelong, Gold Coast and the Western Bulldogs, all teams which leak AFL Fantasy points like they’re going out of fashion. Gold Coast are particularly mouth-watering, as Dusty has played them five times for an average of 121.8, an insane average for any player against a certain team. In fact, Dusty averages 100+ against every single team he comes up against between now and the end of the season. Finally, a huge red flag for Coaches earlier in the season was that Martin was spending a large chunk of each game Forward for whatever reason. Good news is that this trend seems to have changed over the last four weeks, with Dusty’s heat map and centre clearance numbers indicating a much more midfield-orientated role. If Coaches were told at the beginning of the season they could pick up Dusty for less than $600k, they would have been laughing. But now it’s a reality and it could be a great move for anybody looking to gain some ranks. Josh P. Kennedy ($605,000 BE 97 Ownership – 3.27%) – After getting injured early against the Roos a fortnight ago, JPK bounced back last week with a giant 134 in a loss to the Suns. Renowned for his late season scoring, Kennedy is once again proving that he’s a reasonable Fantasy player come finals time, and at just over 3% ownership, he should not be ignored. Kennedy’s run home is less than desirable as he plays Essendon, Collingwood, Melbourne and Hawthorn, all teams that are pretty tight in terms of Midfield scoring. If he had an easier fixture, JPK would be much higher up in this article. Good news though, Kennedy has a 100+ average against all of those teams except Collingwood, so he should theoretically still score fairly well against them. Another positive is that the other game he plays is against GWS, who currently leak the most AFL Fantasy points to Midfielders in the competition. Because of his injury two weeks ago and his average form throughout the season, JPK is also extremely cheap, making him easy to upgrade that final rookie to! He is definitely a risk, but not a particularly big one, and his scores could give you a huge upper hand on those Coaches ranked above you if history is anything to go by. I’m strongly considering JPK this week as a PoD to make my season at least semi-respectable. Jack Billings ($580,000 BE 74 Ownership – 16.94%) – Not particularly unique, but Jack Billings has returned to at least mild form and provides Coaches with a valuable option at F6. It’s amazing what players can do when you play them where they’re meant to be played, rather than stashing them away in a Forward pocket to be forgotten about. Isn’t that right Alan Richardson? Seriously though, now that Billings has made a return to the high half-forward/midfield role, his scoring has become at least close to what is expected of him. I like Billings for three reasons: firstly, he’s a safe pick. Since moving back to a favourable role after posting ridiculous numbers in the VFL for a week, Billings has averaged 97.4 and hasn’t gone below 80. Unlike a few Port Adelaide Forward options, this consistency indicates to me that Billings has that role secured for at least the remainder of the season and should provide scores similar to the last four weeks. Secondly, Billings is extremely cheap, almost $100k cheaper than what he started the season at. This makes upgrading a cash cow to him much easier. Finally, Billings has a promising fixture home, playing teams like GWS, Western Bulldogs and North Melbourne, who should allow him to score extremely well if he takes his opportunities. He’s not extremely risky and he probably won’t be a PoD for you, but at his current price Billings is almost too much value to pass up. Josh Dunkley ($610,000 BE 73 Ownership – 0.6%) – Not a particularly relevant player in the classic format of the game usually, but Dunkley has hit a rich vein of form lately that needs to be talked about. In his last four games, Dunkley has averaged 106 Fantasy points, pretty solid for a Forward, especially considering how abysmally a few other popular Forwards have been scoring. Dunkley has been managing career highs in both disposals and tackles and this leads to good Fantasy scoring. Not only that, but for those four weeks Dunkley has been playing purely in the middle of the ground, which isn’t great as the Bulldogs are 1-3 in that time, but it’s exciting for Fantasy Coaches. The Bulldogs and Dunkley also have a fairly friendly fixture to end the season, playing against St. Kilda, Carlton, North Melbourne and Richmond in four of their last five games, which should hopefully provide Dunkley with a lot more opportunities to score. However, by far the most exciting statistic about Dunkley is his ownership. Only 837 Coaches are owners and, whilst I haven’t checked with Magtuto, I guarantee less than five of those are in the Top 100. This low ownership means that not only are you unlikely to be pitted against teams in your League that own the young Dog, but as long as he keeps outscoring players like Heeney, Wingard and Gray, he’s going to gain you some rankings too! He’s a bit of a risk purely because he hasn’t really been a prominent Fantasy player in the past, but maybe he’s found his straps? I guess we’ll see in the next five weeks. Kane Lambert ($576,000 BE 78 Ownership – 2.38%) – A personal favourite of mine and a few mates, Lambert is the definition of inconsistency, as shown by his current season high and low, 122 and 33 respectively. Lambert is a massively risky option and I wouldn’t pick him unless you really need to make up a few rankings, but he’s here in this article due to form and fixture. Kane has a Last 5 average of 96.2, averaging 27 disposals, 4.6 marks and a goal per game in that period. Lambert definitely has the ability to be a great Fantasy player, highlighted by his Round 15 performance against Sydney where he managed 33 disposals and three goals for 114 Fantasy points. The biggest issue he has are the games where he completely drops off the map. In Round 11, Lambert had an 8 disposals game where he managed just 33 AFL Fantasy points, a nightmare for anybody who owned the Tiger then. Fortunately for him, he plays for Richmond who are a dominant force at the moment, and who have extremely easy opposition coming up in the form of Geelong, Gold Coast and the Western Bulldogs in Rounds 20, 21 and 23 respectively. This fixture and his current form make Lambert a tempting PoD who could definitely gain you a few rankings and is a game breaker in terms of winning you a League game or even a Grand Final. The issue is the risk, do you get current form Lambert, or does he go back to being 8-disposal Lambert? Only time will tell. Anyway, that’s it for me this season! I hope you enjoyed all of my articles this year, and hopefully I’ll be back next year to keep providing you all with advice on players who provide value in one way or another! A big thanks to the boys at DT Talk for giving me this opportunity to write for them again, it has been a blast as always! And thanks to you all for reading my articles! If you have any questions, post them in the comment section below or send me a tweet @SparksyDT and I’ll do my best to get back to you. Good luck for the rest of the season, whether it be playing for a League win, cap or car! I think that Lambert is actually a better option than you give him credit for. If you look a little deeper into his stats, there is a key indicator of his performance: Dion Prestia. In 8 games with Prestia, he has averaged 98.25. 9 and 8 games respectively I believe is enough data to make a judgement that it is not a coincidence, especially when you consider that it isn’t 9 consecutive games, but they are broken up. – He played 3 poor games with Prestia (high score of 60) in rounds 1-3. – He then played 6 games without Prestia for an average of 68. He had a high score of 89 in this period, which included a 63 and 33. – The last 4 games (with Prestia), he has averaged 98, with a low of 80, and this is his only score below 94. I think this is enough evidence to show that it is a little deeper than just good form, and he is not simply an unknown that may be good or may get a 30… I believe Dion Prestia in the team makes Lambert a fantasy relevant player. I won’t be bringing him in, purely because I’m bringing in Danger instead, but I think Lambert is an excellent pick if Prestia stays fit. Note that guys like Redden, Shuey & Gaff gotta play outside the comforts of Optus stadium, in Tasmania this week. I’ve had Redden for most of the season now, and kinda concerned he may dip back to pre-good form 80’s this week. Real sliding doors moment with Redden 4 rounds back – was seriously considering trading him out at lockout just before that massive 140. I only kept him because the perceived gain from upgrading him wasn’t as much as other options I had at that time. Gotta feel for guys like Selby who did pull the trigger. Fantastic article! Billings v Dunkley?! Really need help.. Grundy & Whitfield (for Crisp) OR Grundy & Smith (for Wingard). Downgrade Ahern to get Grundy or downgrade Ballard to get Stef? Trade one of Gibbs or Tim Kelly for Gaff?